Piperine is an alkaloid extracted from Black Pepper (Piper Nigrum). And used to increase the bioavailability and metabolism of nootropic supplements and drugs. Piperine does more than just boost the action of your nootropic stack. It acts as a nootropic as well. 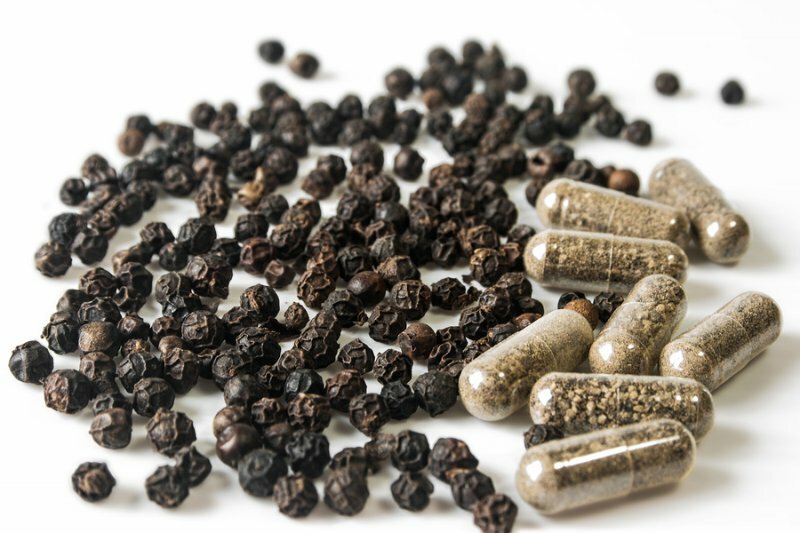 In this article we investigate how Piperine can help optimize your brain. 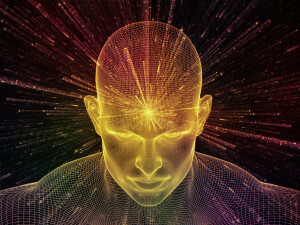 Nootropic Effectiveness. Piperine inhibits the drug transporter P-glycoprotein, and the drug-metabolizing enzyme CYP3A4 in your liver. Allowing more of each nootropic in your stack to be absorbed and used as intended. Neurotransmitters. Piperine is a powerful monoamine oxidase (MAO) inhibitor (MAOI). Boosting serotonin, dopamine and norepinephrine levels in the brain. Decreasing anxiety, improving mood and memory. Neuroprotection. Piperine has potent antioxidant, anti-inflammatory, and anti-tumor capabilities. Helping to reduce toxic free radicals and protecting your brain from oxidative damage. How does Piperine work in the Brain? Piperine is an alkaloid extracted from Piper Nigrum (Black Pepper). And used to boost the effectiveness of other nootropics and drugs. Black Pepper (Piper Nigrum) is a flowering vine native to south India. Its dried fruit is used world-wide as a spice and seasoning. But Piperine’s biggest claim to fame is its ability to boost the effectiveness of your nootropic stack. Piperine’s effects are similar to grapefruit juice and St. John’s wort. It inhibits the drug transporter P-glycoprotein, and the major drug-metabolizing enzyme CYP3A4. 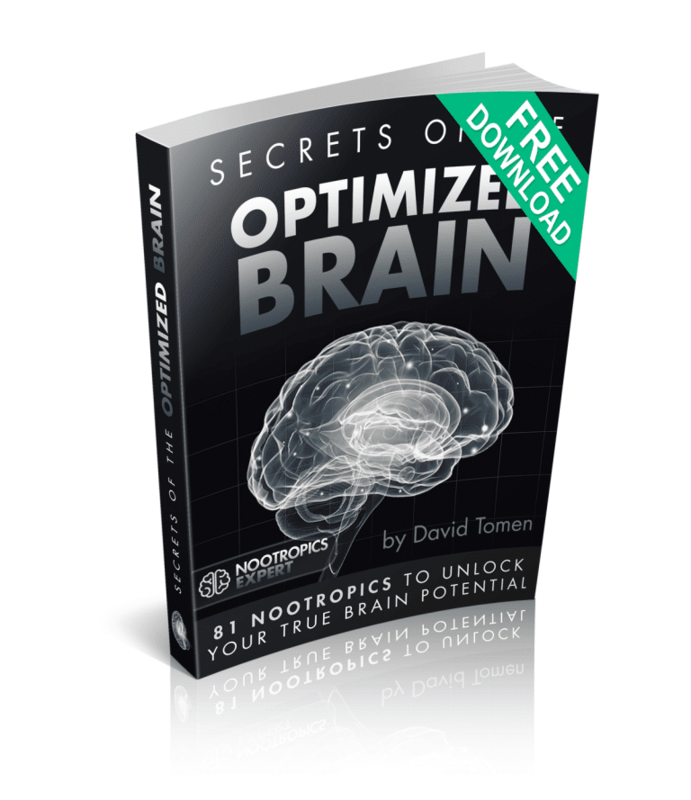 Amplifying the effect of nootropics by preventing elimination in your liver and urine. And allowing increased absorption for use by your body and brain. Piperine boosts brain health and function in several ways. But two in particular stand out. Resveratrol on its own is a good antidepressant. And Piperine also provides antidepressant action as a MAO Inhibitor and serotonin booster. When combined, Piperine also boosts the bioavailability of Resveratrol. This combination is a potent natural antidepressant. Without the side effects that come with prescription MAOI’s and SSRI’s. Piperine boosts bioavailability. Piperine inhibits the drug transporter P-glycoprotein, and the major drug-metabolizing enzyme CYP3A4. 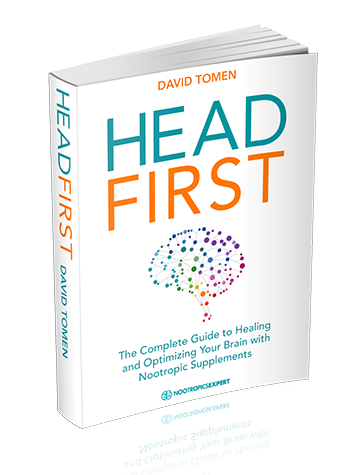 This can have profound implications on how well and how much of each nootropic in your stack actually gets to your brain. 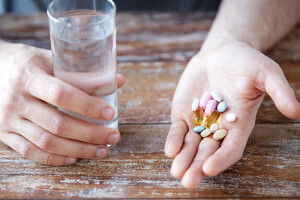 Your liver protects you by attaching a glucuronide molecule to nootropics (and drugs) which sends a signal for them to be excreted in your urine. This process prevents excessive levels of nootropic supplements (and drugs) in your body. But it can also work against your brain optimization goals. A great example is curcumin, the bioactive compound found in turmeric. You will not experience the medicinal properties of curcumin when taken on its own. Curcumin has very poor bioavailability when taken as a supplement because of its rapid metabolism in your liver and intestinal wall. Researchers in India gave mice 2 grams/kilogram of curcumin and tested blood levels over 4 hours. Very small amounts of curcumin were detected in blood in the first 2 hours. The scientists then administered the same amount of curcumin combined with 20 mg/k of Piperine. Blood levels of curcumin were detected sooner with Piperine added. And stayed in the blood longer. Bioavailability of curcumin in mice increased by 154% when combined with Piperine. The researchers then tried the experiment with humans. A 2-gram dose of curcumin on its own was not detectable in blood samples. But curcumin combined with Piperine in humans made a profound difference. The job of our liver is to clear our body of unwanted compounds and toxins. And excrete them as waste through our urine. But some of the nootropics and especially prescription drugs are seen as “foreign matter” by our liver. And are eliminated as ‘waste’ even if our intention was to benefit our body and brain. To make matters even worse, include getting older. Our brain chemistry and energy metabolism changes. All of these changes can happen at any age. And some are contributing factors to the neurodegenerative diseases of aging, including Alzheimer’s and dementia. This is where Piperine can help. Piperine on its own has antidepressant capabilities. So you may feel your mood improve. If you are using curcumin or turmeric for its anti-inflammatory benefit, you’ll likely find that these supplements will be much more effective in relieving pain by adding Piperine. You should notice a substantial benefit in the effectiveness of most nootropics and prescriptions meds when stacked with Piperine. Some neurohackers report a reduction in anxiety (that can be caused by some supplements) by taking it with Piperine. If you are dealing with arthritis you may find pain levels will decrease by using Piperine. This nootropic is a potent anti-inflammatory even on its own. You may be able to reduce the amount of some nootropics and medications by stacking them with Piperine. Because the effectiveness of most of these supplements and meds will get a boost by combining them with Piperine. Stress in everyday life puts every one of us in danger of developing some type of cognitive disorder. And curcumin is a proven therapy to help protect us from this assault on our cognition and brain health. To help illustrate what happens in our brain when under stress, scientists subjected male Laca mice to stress-induced cognitive impairment for 28 days. 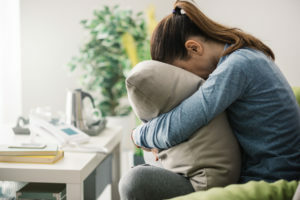 Chronic stress impaired memory, locomotor activity, elevated toxins like nitrate, decreased the master antioxidant glutathione, damaged mitochondria enzyme function, reduced acetylcholine levels, and increased stress cortisol levels. Researchers then treated the mice with either 200 or 400 mg/k per day of curcumin. All of the damage caused by stress was reversed to a certain extent. Scientists in Korea analyzed Piperine (ethanol extract) for its monoamine oxidase (MAO) inhibitor capabilities. Piperine showed an inhibitory effect against MAO-A and MAO-B. The team found that Piperine exhibited the same type of antidepressant effect in the brain as the popular prescription drug Prozac® (fluoxetine). A study conducted in Thailand looked at Piperine’s effect on memory and neurodegeneration in an animal model of Alzheimer’s Disease. Adult male Wistar rats were given Piperine at doses ranging from 5, 10 and 20 mg/k of body weight for 2 weeks before and 1 week after artificially induced Alzheimer’s-like conditions in the rat’s brain. The results showed that Piperine at all dosage ranges significantly improved memory impairment and neurodegeneration in the hippocampus. 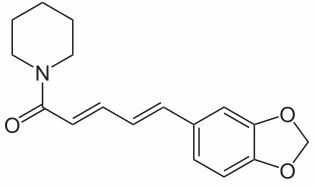 The recommended dosage of Piperine to enhance bioavailability of nootropic supplements is 5 – 20 mg per day. 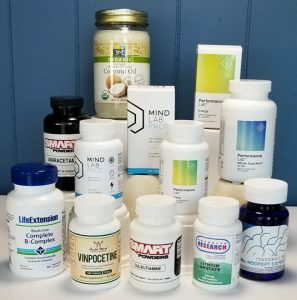 Many nootropic stacks and some supplement formulas (i.e. curcumin, turmeric and resveratrol) come pre-stacked with the appropriate dose of Piperine. For example, Performance Lab® Energy uses the patented BioPerine® form of Piperine in their premium energy stack. I love this energy stack and use in twice a day instead of the morning and noon doses of ALCAR is used in the past. This pre-formulated nootropic stack also includes the patented forms of MicroActive® Q10, BioPQQ®, and Bio-enhanced® Na-RALA (alpha lipoic acid). You can see my full review here of how I use the Performance Lab Energy stack in treating Adult ADD. 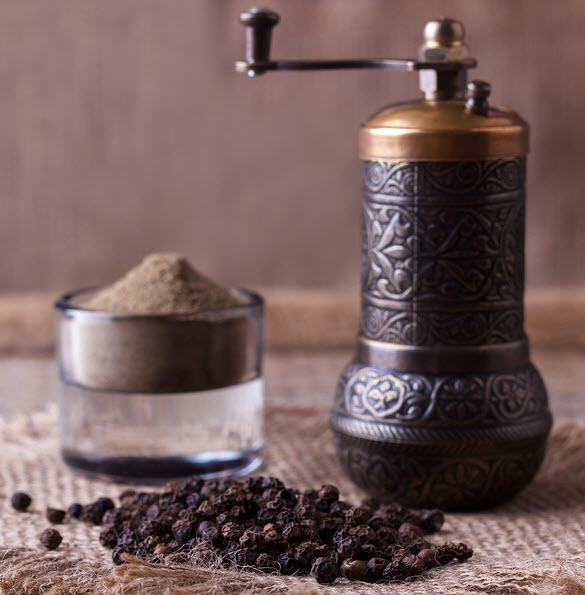 Piperine is an extract of Black Pepper and considered non-toxic and safe to use at recommended doses. Piperine potentiates the effect of nearly all nootropic supplements and prescription medications. So be very aware that boosting the effects of certain supplements or drugs could produce unwanted consequences. Be cautious of using Piperine in addition to Piperine that may already be in one or more of your supplements. Too much Piperine will not only amplify most of the supplements and drugs you’re taking. But could also negate the effects of some. BioPerine® is a patented form of Piperine made by Sabinsa Corporation. And licensed to other supplement manufacturers to include in their formulas, or as a standalone product. It’s the only source I’m aware of who have clinical studies to back up their claims of safety and efficacy. You can also get Piperine by grinding black peppercorns on your food. The problem is there is no way to measure how much Piperine you’re actually using. We recommend using Piperine as a nootropic supplement. Your body does not make Piperine on its own. So you must take it as a supplement. Piperine is especially helpful for boosting the bioavailability of other nootropics in your stack. Beware that Piperine also amplifies the potency of other supplements and meds you are taking. Boosting the effect of certain SSRI’s and some other meds could be extremely dangerous. Piperine is also an effective antidepressant, and can help lower stress and anxiety. Piperine is a potent anti-inflammatory and could help reduce pain if you are dealing with arthritis. Or other conditions caused by excess inflammation in your body. 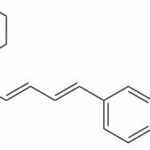 Piperine is a powerful neuroprotectant and makes a great addition to any nootropic stack. You can buy Piperine or BioPerine® as an individual supplement. And some premium pre-formulated nootropic stacks like Performance Lab® Energy include BioPerine. David if you have built up a tolerance to your ADD meds would Piperine help a little with the tolerance? Also would cayenne pepper act in the same fashion? Also, I viewed some of your Nootropics video over on youtube , I thought they were great! Tammy, Piperine could help with ADD symptoms because it’s a MAOI inhibitor of both A and B. But I don’t think it would help tolerance much (if any). Tolerance is likely caused by damage to dopamine receptors. Which need to be replaced and/or repaired. (I do not believe cayenne has the same effect in the brain). And as we age our brain produces less dopamine. The enzyme MAO increases which puts a damper on dopamine. That’s the only place Piperine would have some effect. A couple of the supplements I use have Piperine as part of the formula which helps everything I take in my stack. But I’ve found (for this brain anyway) I’ve got to be much more aggressive in increasing dopamine and replacing receptors. I would like to ask is it safe to take bioperine since am taking a half tablet (Cipralex 10mg) daily and one tablet lerica 25mg 3 times a week ? Fouzi, it’s certainly not contraindicated but using Bioperine while using these drugs will boost the effectiveness of each drug. Sometimes that can be dangerous.